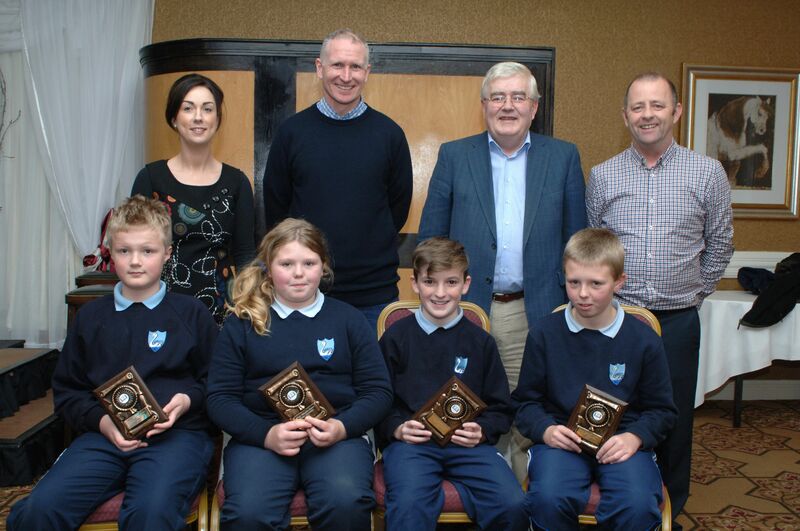 Tuam Education Centre’s Maths Competition for 5th and 6th class primary school students took place on Tuesday 10 November in the Ard Rí House Hotel, Tuam. 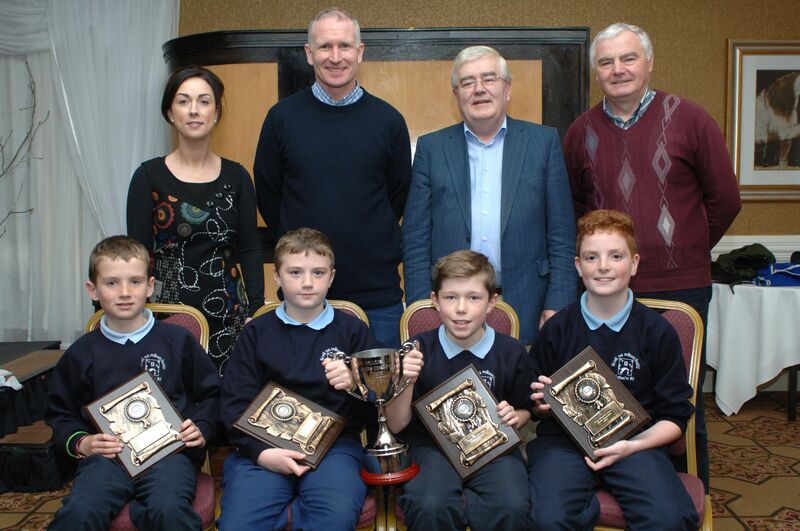 The quiz master was Mr Cammie Gallagher, former Maths teacher at St. Jarlath’s College, Tuam and former Assistant National Coordinator for Project Maths. Aidan Burke also thanked Ashling Kelly (Administrator, Tuam Education Centre) for all her hard work in liaising with the schools and her organisation of the event. Twenty six schools competed in the event this year and it is hoped that this number will increase next year. 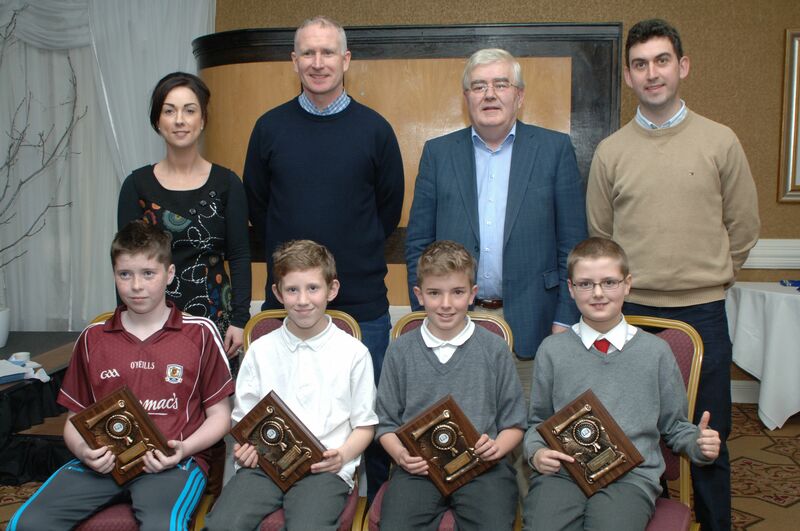 The Ard Rí House Hotel, Tuam sponsored a magnificent trophy for the winning school. Tom McHugh presented the trophy to the winning school. Plaques were presented to the winners on the day. 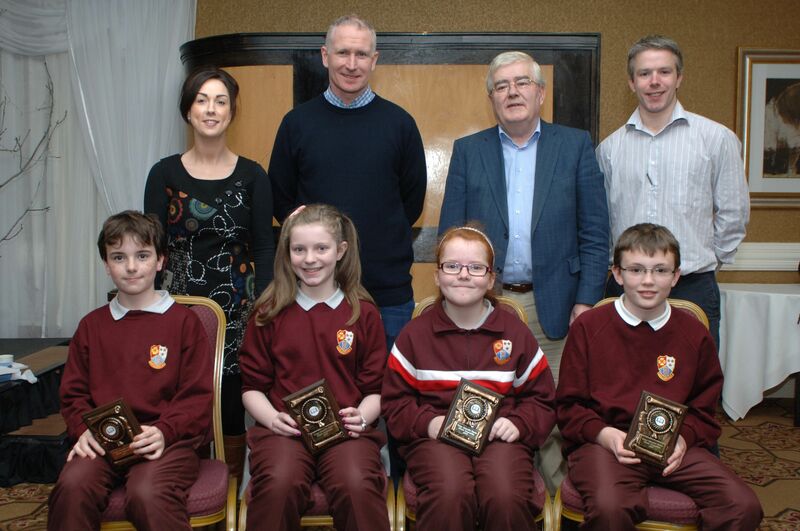 The next event on the Tuam Education Centre calendar is the Primary Debating Competition in the New Year. Fifteen schools have alreadyentered this competition. The competition is now in its third year. (Ard Ri House Hotel) and Gerard Greaney (Teacher).